Hallo! This is the blog for the October ’11 Tour of the Philippines. Mabuhay! I think I’ll start off by saying that the person (or persons….) who writes the blogs is… still a secret, so you will have to guess! But we hope you enjoy our day-by-day analysis of the tour – and we think you’ll get a pretty good picture of what we got up to while here. So we left on Friday 21st October, and we started our long voyage across the world, stopping in Dubai on the way. Some of us managed to catch a glimpse of the Berj while there, and it did look pretty cool! Our connecting flight was instantaneous, so we got the big plane rides over and done with quite quickly. We touched down in Manila quite late in the evening on Saturday, and were treated to a midnight dinner at the AIM Conference Center (yes, it should be CentRE, but there you go) and went straight to bed. On Sunday we rose fairly late and had a rather large breakfast, despite the piles of food we had devoured only nine or so hours ago! This was followed by a rehearsal of some concert items in a large room somewhere in the AIM complex. Subsequently we left the AIM for a TV appearance on ASAP Rocks, the most watched Sunday TV show that lasts for about three hours. Anyway, we went on and did Carol of the Bells for live television, which was quite fun. We were surprised with the efficiency of it all – in fact, it was too efficient! We got there, changed into our robes, and rehearsed about half the song in the ad break, did it live, left the studio, got changed, and left again! We were done in under an hour, which was amazing! Carol of the Bells is rather a dramatic one to do, except because of the microphone placement we couldn’t do our trademark moves, but I think we managed to captivate the audience nonetheless. After this we had lunch in a restaurant called 145 oF, where they had lots of things out for us to eat, and it was delicious. It was quite a late lunch because of the TV thing, so we were all pretty hungry by then and ate practically everything! An autograph signing in Shoemart Mall, which is apparently the third biggest shopping centre in the world, followed this. We love to do these meet and greet things, because it’s great to talk to our fans and see how happy we make them with our music. It’s also quite funny to see how excited they can get, and we love to hear the screams and applause as we walk around! When this had finished, we returned to the AIM and had a proper celebratory dinner, with an enormous roast pig and piles of profiteroles and barbequed chicken, beef, everything! We were also treated to some traditional Filipino music and dances, which was great fun. We went to bed that night with happy hearts – but maybe our stomachs weren’t so happy with the sudden overload of food! Well, Sunday was a pretty busy day! We weren’t as busy on Monday, however we did do quite a few things. In the morning, as we had breakfast, our feet were measured so that Crocs (one of the sponsors of our concerts) could send us some… well, crocs! Having tailor-made flip-flops is pretty awesome! After this session, we went up a few floors to where there was a gathering to do with the charity program Children’s Hour. We are part of this, as some of the money we raise from concerts is put into this. The charity helps Filipino children living in poverty to get a better education, have better health, and be happier. We are proud to be a part of this. In fact, we met some of those children at the gathering. We then found out that a playground had been planned, and it is to be named after us! Yes, there will be a playground called the Libera playground! It is such an honour for us to have that named after us. 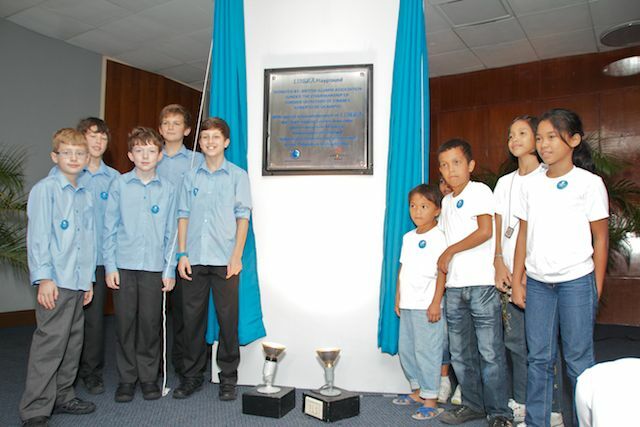 After the unveiling of the plaque that will go up outside the playground, five of us were interviewed on the subject, and then on the concerts and the new Christmas album (WHICH YOU SHOULD BUY, by the way – thought I ought to plug it in somewhere). When this was over, we had lunch and then went of to the Manila polo club. We’ve been there before and, quite honestly, we’ve missed it dearly! We had a long swim in the pool until it began to rain, and then we went bowling. This was also really good fun, and Liam got five strikes in a row at one point!! Following this was a trip to the Shangri-La in Manila, where we had a mammoth dinner. The length of the bar was infinite, and there were colossal piles of food everywhere! I’m surprised the coach could drive off when we were done! Tuesday was a concert day, so we had to take it easy. In the morning we had a bit of a lounge around after a photo shoot outside. We then had a thorough concert rehearsal (blindfolded, of course) tomake sure we knew all the positions we have to find in the blacks outs, and harmony parts and things like that. This was followed by a trip to the famous Balikbayan handicrafts store. We’ve been there before on previous Philippines trips, so it was good to go back. Liam and Josh did a jazzy improv session on the piano they have in there, and we bought gifts for relatives and ourselves. We returned to the AIM for lunch, and went swiftly on to the PICC for our concert. It was gigantic on the inside! The stage, TV screens and lighting looked promising, and we were very excited to get on with the sound check and perform! We had a very receptive audience, and we felt very comfortable on stage. They applauded loads, and were ecstatic when we did Himig Pasko at the end! When we were done, we had another autograph signing, which was again very enjoyable. On the way back, Josh turned seventeen – as by the time we got back to the AIM it was Wednesday! We had a quick bite to eat before bed, and that was Tuesday! This is as far as we’ve got so far, more blogging to come when more has happened!!! I think I know who wrote this one. 😀 I think that he was among the five who were interviewed after the unveiling of the plaque. Wow! sounds like ya’ll have had a fantastic time so far!!! So glad to hear that! Love the photo of Josh and Liam playing piano!! Good luck on the rest of the tour! Wish I could be there! Whoever is writing the blog is doing a good job, it is nice to read about your activities. Happy Birthday to Josh, I think he might be the author. I hope you have a great time on the rest of your adventure, thanks for telling us about it. Thanks so much for blogging! 🙂 Ah, the beauty of mystery eh? If we’d guess, would we get a prize if we guessed right? Haha. Just kidding! Thank you so much boys for your music. I enjoyed the concert last Tuesday. Good to hear Josh sing!!! I wasn’t able to come for Meet & Greet so thanks for having an autograph signing session after the concert. I appreciate it much. You must have been very tired then after all the singing you did. Great to hear you’re having a good time in the Philippines! Good luck on your concert in Cebu. I know it’ll be great. .plz..uplod that u sing on the concert..himig ng oasko..thanks.. OMG!! hahaha it sounds like you guys are having so much fun 😀 lucky!! ..and by the way plz.uplod some pictures of your tour here in philippines just like you uplod on your US TOUR..thank you again..
i was there at the Meet and Greet at SM North EDSA-The Block! in the first row seat!! All the Lights as Always ! The most wonderful colors and beautiful dreams coming true for everyone of you!! I REALLY REALLY LOVE LIBERA .. THANK U FOR COMING HERE IN PHILIPPINES .. WE ALL HOPE , YOU COULD COME BACK HERE NEXT YEAR .. WE WILL ALL BE WAITING FOR YOU HERE ..
Hi Libera: as per usual this blog is very well done :). Thanks for the insight and keep it coming. Ab-so-lu-te-ly AMAZING blog! So glad you guys are having fun. Whoever is writing the blogs- they’re a pretty good writer! 🙂 Thanks. Wow, you have been pretty busy! A jazzy session by Liam and Josh!!! I would love to listen to it!!!!!!!! Please enjoy the rest of the trip, and have a safe trip home. Thank you very much for such a wonderful time!!!! Please say hi to the members that could not come to this tour X)! I miss them!! Have fun in Cebu and belated Happy Birthday Josh! Enjoyed the concert with the family, bought your christmas album and listening to the music everyday. Hope you all enjoyed your visit, we’ll see you again next time! Mabuhay! what a nice experience you had lads! keep up the good work and our enjoy your days. Hope your concert in Cebu tonite will much as exciting as you had at PICC , MAnila. 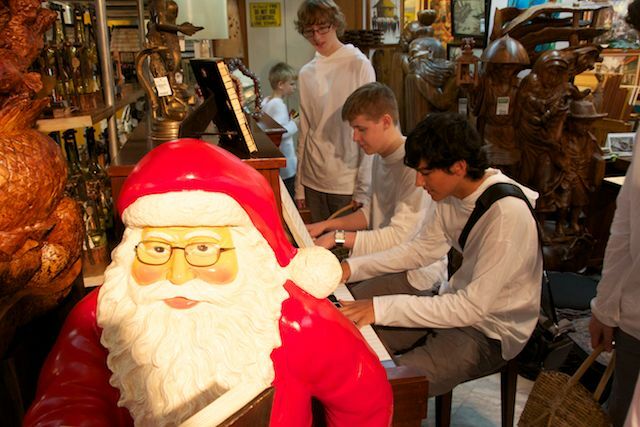 Let’s spread your Christmas carols through the music. God Bless and Good Luck. Muachhh!!! Very nice writeup. Looks like you boys are enjoying yourselves. Good luck and have a safe trip home! wow guys!! you were busy!! It’s good that you’re enjoying your stay here in the Philippines! I hope you’ll be here more often! Hi, is there any chance Libera coming to Manchester. Well, what should I say? You guys are amazing. How can Filipinos not like this group of artist. You are all fantastic! You give joy and pleasure to many thousands. Which one can really learn from your postive actions while on and off stage. You are all in great demand all over the world. Just wish I could get hold of a﻿ concert ticket to hear you guys live. And BTW belated Happy Birthday Josh, wish you could still stick to Libera for the next few years and beyond and please do come back next year, and this time, I promise to watch you guys 100%. I love you all and wish you all the best. I really love reading all your blogs! I read all of your blogs and I enjoyed reading them for sure! I loved the part about the piano, because I’m learning music and learning the piano. Love you forever and ever Libera! Thank you for your such heavenly beautiful angelic voices! Glad to know that you’re having a great time in the Philippines, and making your fans happy! I wish I were in the audience. What was the piano session by Liam and Josh like? They are so talented, aren’t they? Thank you for your wonderful blog, the secret writer! I went to SM Cebu North Wing Atrium yesterday, October 27, 2011.
oh. wish you had a good days here in Philippines. Saw your “Carol of the Bells” recording-it was absolutely beautiful. I LOVE watching Mini Ben’s crooked smile the whole time he’s singing-he’s an absolute charmer! Sure wish I could have been there in the Philippines, but since I couldn’t, PLEASE PLEASE come back to Texas soon. There’s a crowd here waiting!!! Fantastic performance at the PICC. My daughter was ecstatic when, finally, she was able to watch your concert! She said it felt like angels descended on earth and every song you sang gave her goosebumps. She hasn’t gone down from cloud 9, might take a while. Thank you so much, count her in in your 2012 concert. God bless you all!! The writer, hmmm, If he is one of the choristers I think it’s (sounds silly of me but I think it’s…) … Ben. Because he’s so hilarious and most of the sentences are like, funny? exaggerated? yet funny? 😀 ok … Hopefully you’ll comeback next time! Oh, it’s nice to know that you enjoyed your tour in the Philippines! It means a lot to us Filipinos for you to prepare something special for us…. Himig Pasko was just perfect! I endured my long flights and long stop overs just to go back home to my country to hear you sing…. and it’s all worth it. Thanks for the blog… keep it going. Hmmm, I guess, different members write the blog. Good luck to your next concert. I’ll be urging my friends in UK to watch your concert. They’re just an hour drive away from St. George’s Cathedral. Your performance of Carol of Bells is absolutely amazing! I am so grateful that it has made its way onto Youtube, and it makes me even more eager for my Libera Christmas CD pre-order to go through. I get chills down my spine….which is actually not unusual when listening to Libera (you drew tears out of me in Chicago)–its just that I’ve never had that happen with any other music and I still am in awe of you. Please sing forever! Godspeed on your journey and best wishes to everyone on the team. It was my first Libera concert and it was so wonderful. All of you did a very wonderful job, you exert so much effort so that we, Filipinos, will like your concert and we love it. We are so grateful for giving us another chance to meet you and to listen to your angelic voices. And I am hoping that someday or maybe next year all of you (every single one of you guys) could come here in the Philippines and once again perform a magnificent concert. 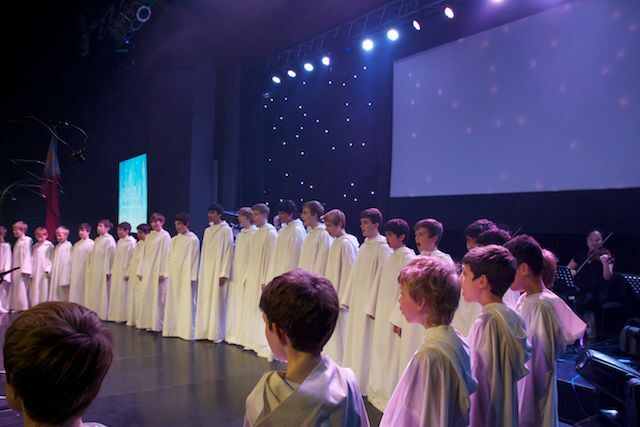 We love you, I love you Libera! PS: Hey! Ben, do you remember the three girls at Waterfront, Cebu, Philippines, saying “Do you know what Libera means, libera, liberang mangarap, translation, it’s free to dream”. I am one of those girls and still we are proud of our self for doing that dare. And secret writer, wonderful blog love it! Guys, you really made me and the other Filipinos happy, very happy.. Thanks again for coming in the Philippines!!! You guys rock!!! I wish you will come to the Philippines next year… I love you guys!!!! SPREAD YOUR MUSIC AND GOD BLESS YOU!! Thanks for coming here in the Philippines. You were all very talented and inspired many Filipinos in your music. I’ll always be a big fan! Keep up the good work and God bless everyone! Very well said! You can make a good writer 🙂 BRILLIANT! Clap-clap! Congratulations Libera for another successful concert! We’ve literally missed you. Will see you again next time. Mabuhay! Are you going to come to USA this 2012 summer? On the other hand. Your song Still, still, still is great. It deserves to make a video of it. Happy new year for all Libera crew. Plese ask my question. HY guys. Your music is simply wonderful. Is possibile that you come to Italy in the next future!!!! 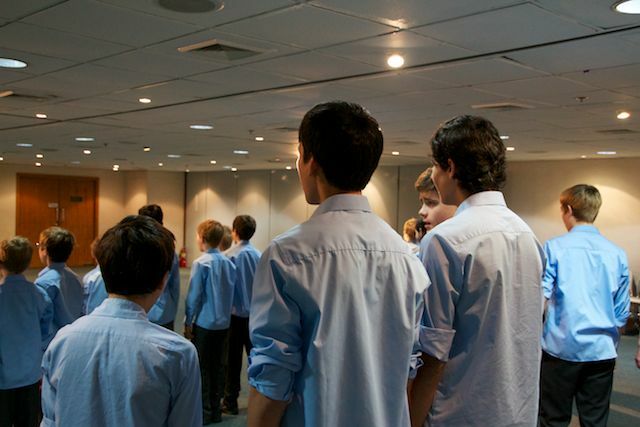 Libera, you all have such a wonderful voices. i wish i can see you in Indonesia. I’ve heard that you’ve came to Asia countries a several times. please held a concert in Jakarta. me and my family would love to watch you concert. Don’t forget to held meet and greet if you are going to have a concert in jakarta. Bunch of love from Indonesian fans! good luck on your tours! GBU! at the end of 2011 my wife and me heard and saw you in Dr. Schullers Cathedral in Orange County, LA. I sad to my wife, wow, this chorus are phantastic. 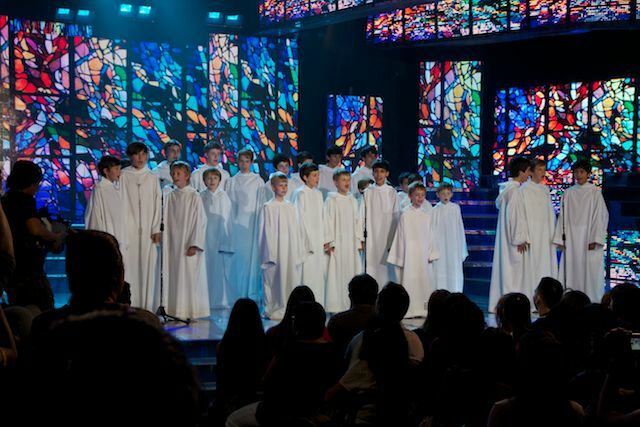 Now, I´ve got a Libera-CD at Christmas 2011 and we love your voices very much. As an owner of a small company for loudspeaker equipments in churches, once a day I had the idea to play this CD for some responsible people and the priest, when we finished our work. Unfortunatly and you can believe me, really nobody knows your chorus, but almost everybody had tears in their eyes about this wonderful music and everybody wants to know, WHO IS THIS? Please, don´t be astonished for sudden orders for Libera-CD´s from Germany. It is a pity, that you are almost unknown in Germany. Please, think about some concerts here and if you want please, let me know. Actually Centre and Center are both correct. Centre is used in British English while Center is used in American English. Anyway, I love Libera. Totally bewitched by its songs, the voices, the personalities, and just the whole concept of Libera. I just kind of missing seeing the former members. But it is also nice to see and listen to new members. Very talented. Hope to hear from you soon.